This is a 6 pack of the brand new O.D. 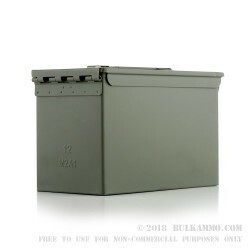 Green M2A1 ammunition can that every shooter knows and loves. 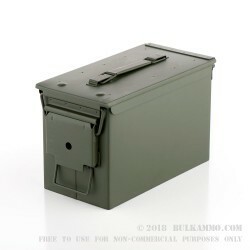 These are seriously pristine examples of the ammunition can that started the ammunition can craze and remains the most popular ammunition can in the world. 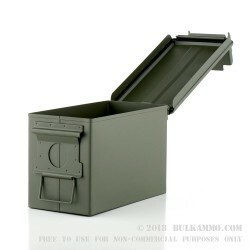 The practical uses for a .50 caliber ammunition can are endless. 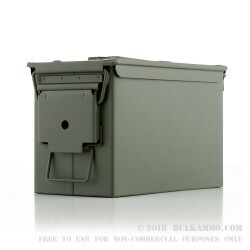 This can, could be and frequently is used as a range tote so-to-speak, with the appropriate durability for heavy use and the size and storage capacity that makes sense for many shooters. 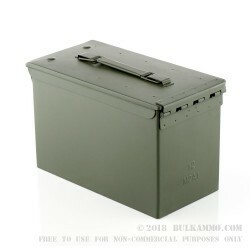 The dimensions are the same as any other M2A1 can, at approximately (just over) 12 inches long; (just over) 6 inches wide and about 7.5 inches tall. 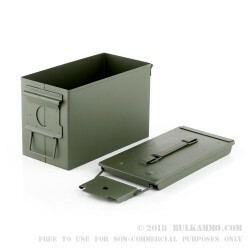 The handle and securely fitting lid make this a bombproof choice for range duty or long term storage of heavy or otherwise important objects. 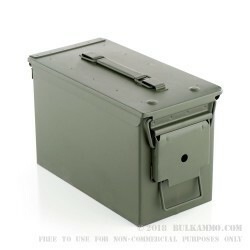 This is not a lightweight transport device though, it was designed and manufactured to take a beating and keep going. 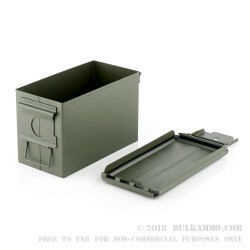 The heavy duty weather seal and the handle that lays flat when not in use are just a couple of the time-tested; time-proven design features that makes this a continually sold out product everywhere.